Need some inspiration at YOUR office? Organize a “Tapping IN” Team building session with Stacy LaFleur. Step out of the box for a change. Help your team Tap into the right side of their brains for NEW and INNOVATIVE IDEA GENERATION. 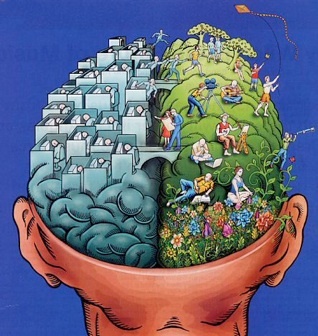 • By learning a new task of being creative, as a group, the participants learn to tap into the right side of the Brain - The ‘creative’ side of the brain. By learning to TAP IN to the creative side of the brain, we become better able to create positive change and envision new ways to solve old problems. In day to day business, we use the left side of the brain for most of the tasks we participate in. •The creative exercise literally causes the neuro pathways to fire up on the right side and the beneficial effects are felt immediately. Anxiety is decreased, a feeling of happiness, released feelings of fear, and an over all sense of achievement is felt by each participant. They will walk away from the experience with an open mind because they have just STEPPED out of the BOX and tried something new. •Each participant leaves the session with a masterpiece painting and a renewed sense of teamwork for everyones accomplishment. •Each participant will create the same thing, but each persons individuality comes out through the creative task and each painting looks completely different. We recognize one another uniqueness and Diversity. From this exercise of using guided imagery, painting, and music, we create change in our brain by the physically doing the task of a creative activity. By exercising the right side of the brain, we bring a different skill set to the table. We live in such a busy, over-scheduled world, our left brain is the voice we hear the most. Because of our regimented daily tasks, we do not access the right brain. When we are constantly in repetitive motion, our solutions aren’t very creative. By giving the right side of the brain a task, it responds. When there are problems to solve or idea’s to fill, give your office a kick start and Step out of the Box. Try something new.